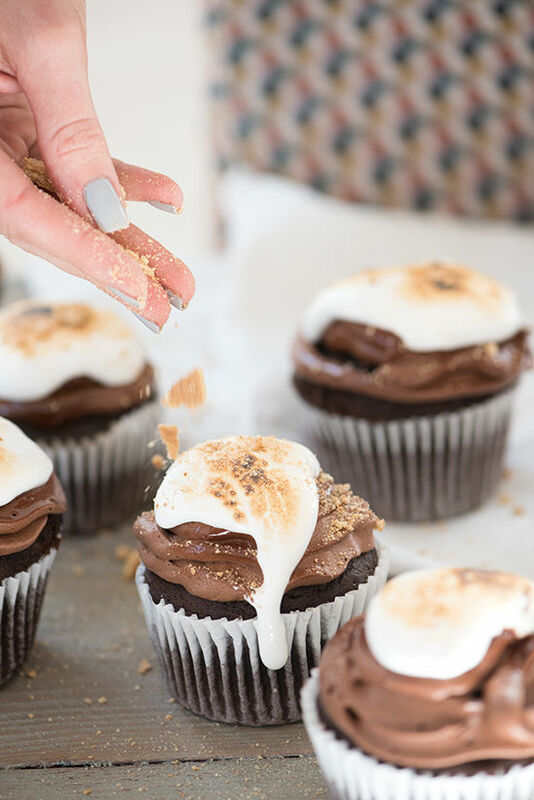 toasted marshmallow cupcakes, need i say more? 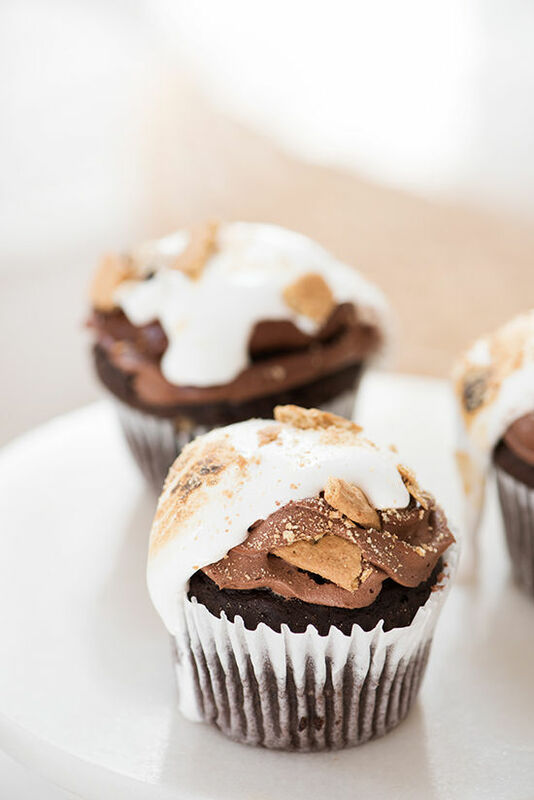 s’mores might be my favorite dessert so these cupcakes really hit the spot, super simple and delicious. 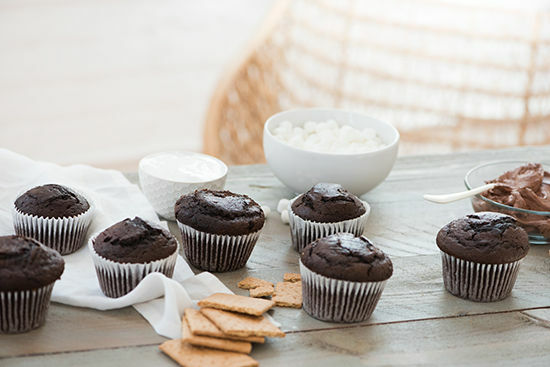 they’d be perfect for a halloween party or the next time you need to bring a dish to pass! • Preheat oven to 350 degrees. 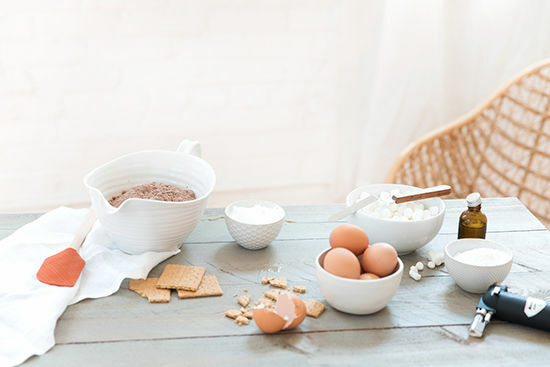 Follow the mixing directions on your chocolate cake mix. We used a cupcake tin that makes 6 large cupcakes. 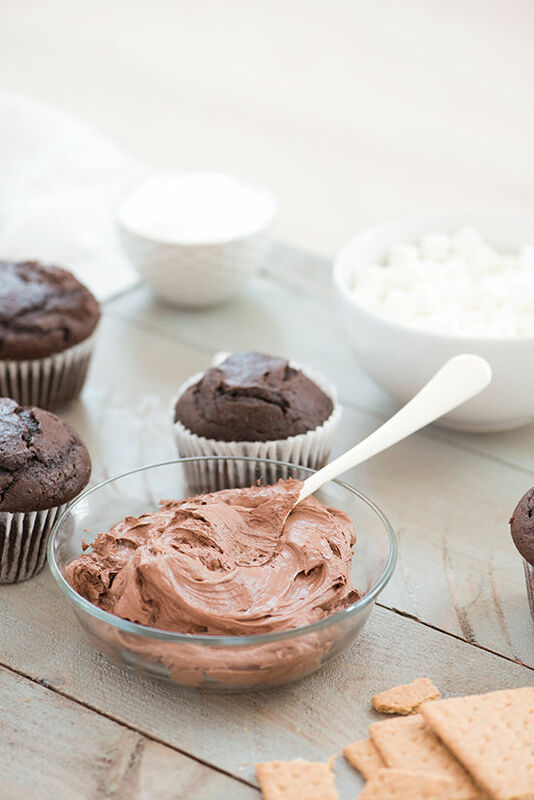 Using cupcake paper liners, drop the cake mix about three quarters of the way. 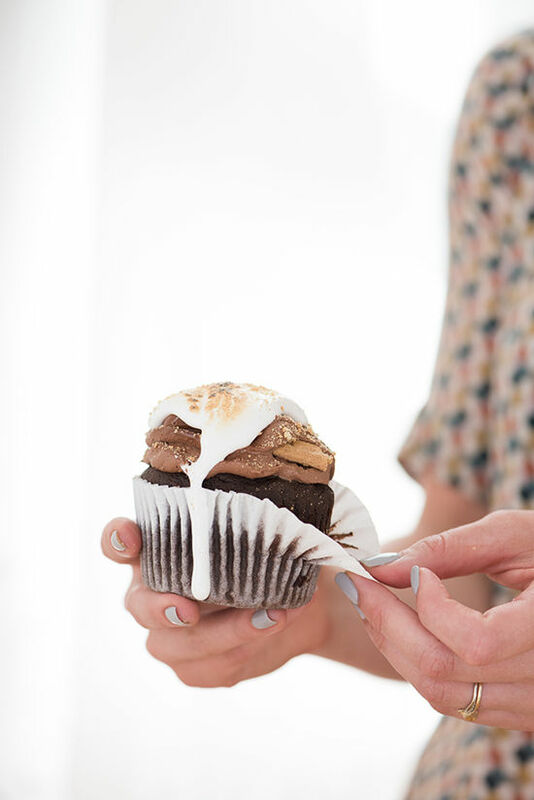 Place in the oven and bake for 18-21 minutes, or until a toothpick comes out smooth when poking the cupcakes. 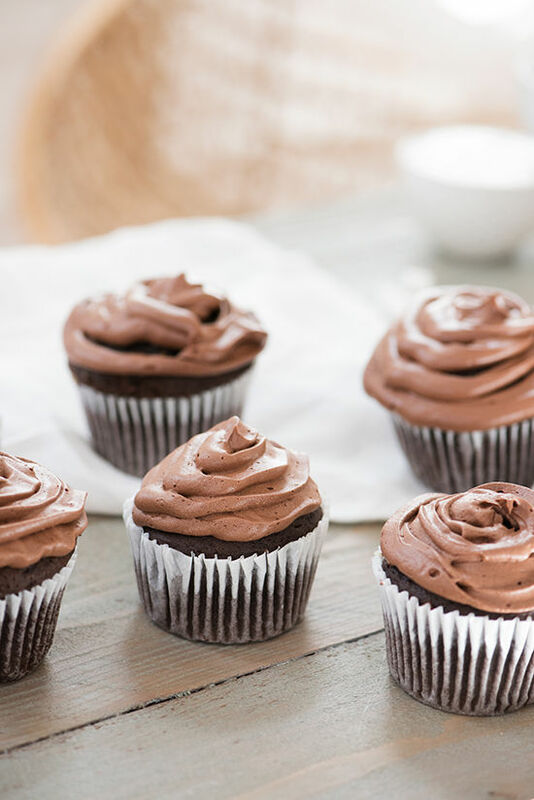 • We like having our frosting homemade and love this recipe found here. • Here comes the fun part! 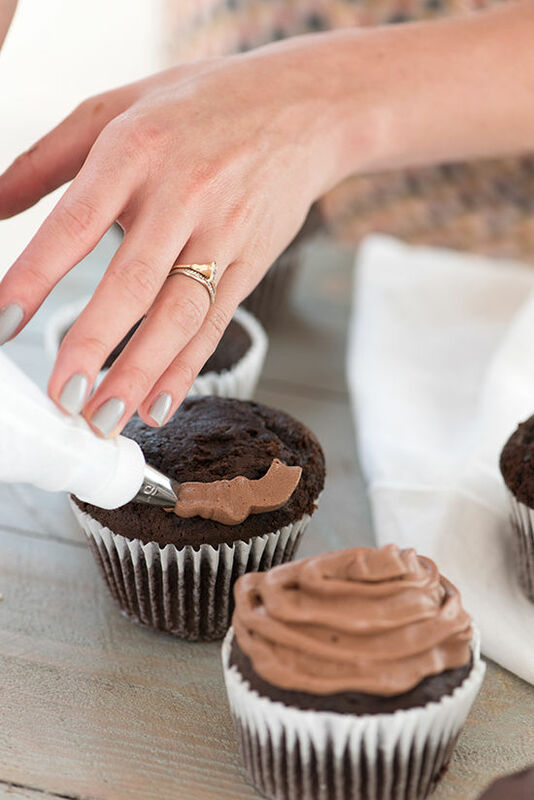 To start layering your cupcakes. 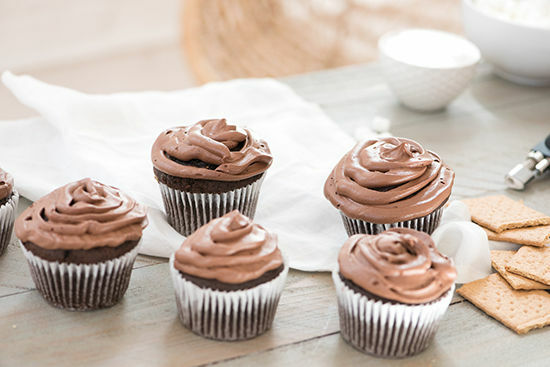 Fill a pastry bag with chocolate frosting and and give a generous layer of frosting to each cupcake. 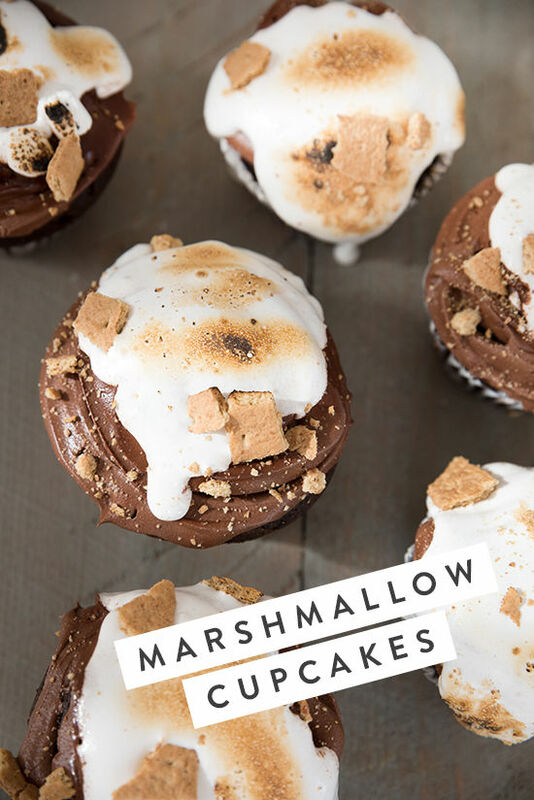 Using a spoon drop a scoop of marshmallow fluff right on top (mini marshmallows are another great option as they can stack well and stick to the frosting) Using the kitchen torch, lightly brown the marshmallows. 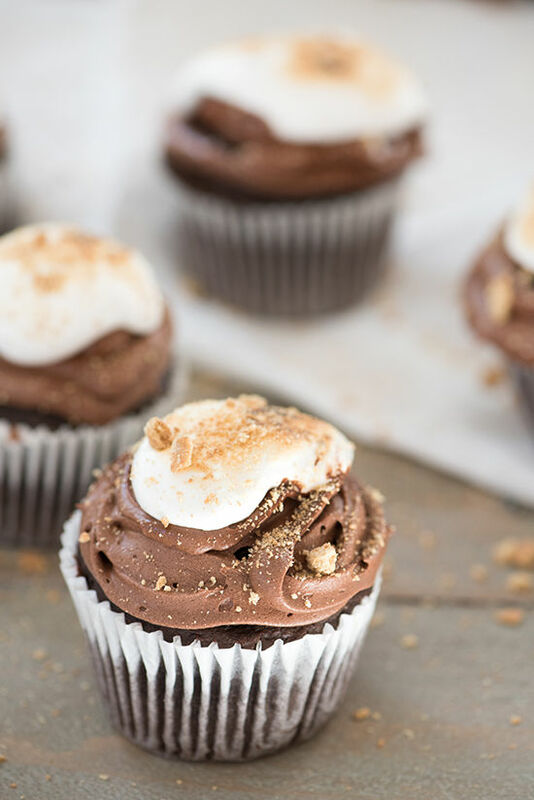 Crush one to two graham crackers and garnish the tops of each cupcakes. 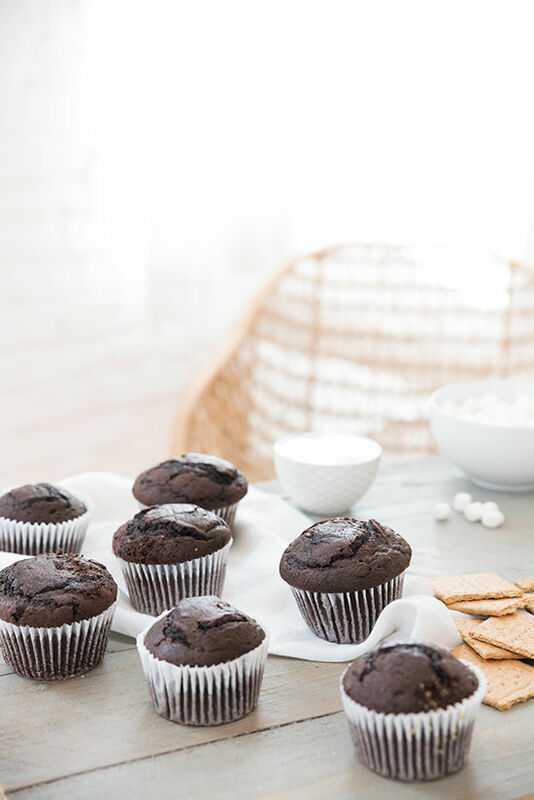 Isn’t it forbidden to post this kind of delicious recipe when one of your readers is on a no sugar cleanse?! btw. what is the name of this beautiful greyish nail polish? 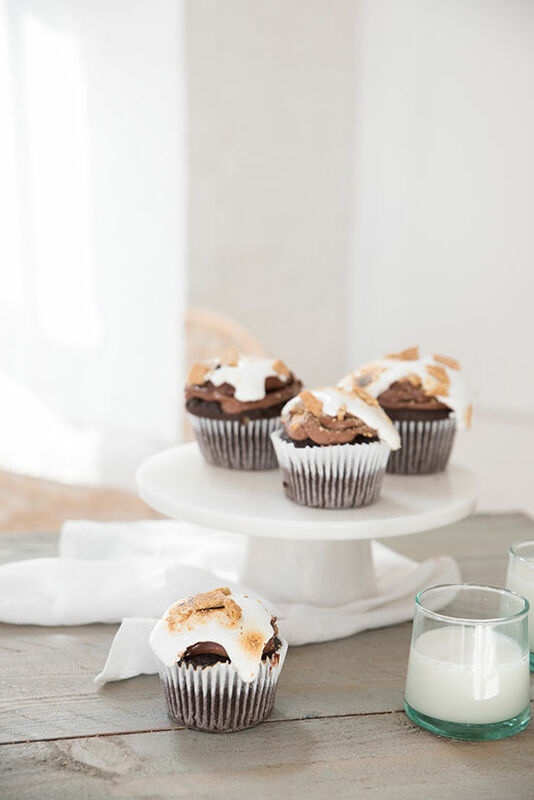 cupcakes are my weakness, and those look delish!! Looks so yummy!! Thanks for the recipe. I will make something like this soon. subject matter. Really.. thank you for starting this up. This website is something that’s needed on the internet, someone with a little originality!